This article is part of our Android Wear Update Tutorials series. 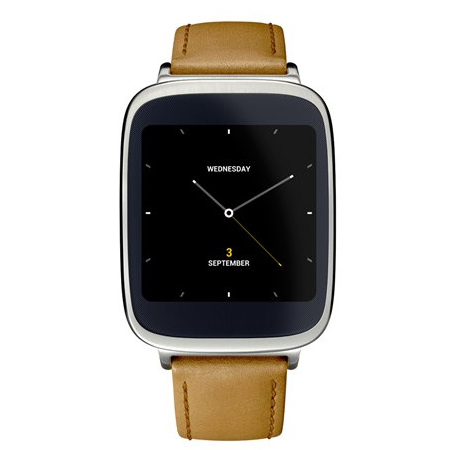 In part two of our series on manually flashing OTAs to Android Wear devices, we're going to take a look at the Asus ZenWatch. The latest Google USB driver and platform tools, both of which can be installed via the Android SDK. The OTA ZIP file that you want to flash. Go into the Settings app on your watch, then scroll down to "About," and tap on it. Scroll down to the build number and repeatedly tap on it until you see a toast notification telling you that you are now a developer. Go back to the main settings menu, and now you'll see "Developer Options" below "About." Tap on it. At this point, you'll want to put your watch on the cradle, and plug the cradle into your computer via USB. You'll get something that pops up on the watch screen asking if you'd like to allow ADB debugging from your computer. Select either "OK" or "Always From This Computer." If you're on a Windows machine and haven't already installed the Google USB Driver, do that. You'll find an "Asus ZenWatch" under "Unknown Devices" in Device Manager. Browse to the Google USB Driver folder and use "Android Composite ADB Device." Open a command prompt and type "adb devices." This should show one device connected. Once recovery mode starts up, tap on the screen to bring up the menu. Swipe down to select "Apply Update From ADB," then swipe right to select it. At this point, you may need to install the Android Composite ADB Device driver again via Device Manager. Once that's done, type "adb devices" at your command prompt again to ensure that it shows one sideload device. At this point, a simple "adb sideload filename.zip" should suffice. Replace "filename.zip" with whatever you named the OTA update file. The system will go and apply the update. It is very important that you do not unplug your device from USB while updating. If you do, you risk a system that won't boot. Hopefully, this tutorial will, during the next OTA update cycle, make the wait for the software bump a little less frustrating. We'll be back again with Part Three, so until next time, happy flashing!